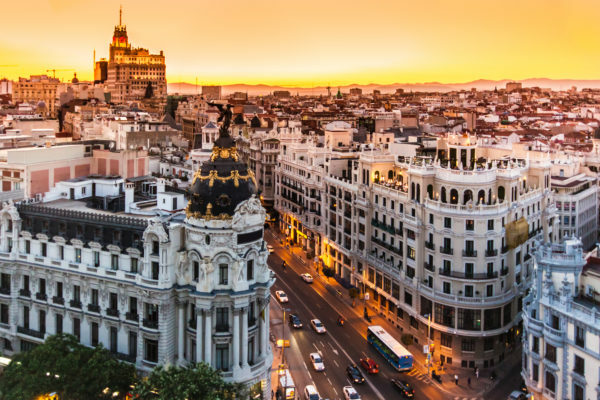 Pack your bags for a weekend trip to Madrid! On Expedia.dk, you get 3 nights at the 3* Leonardo Hotel Madrid City Center and pay only 864 DKK, flights included! Your hotel is located in the Chamberi neighbourhood and offers free WiFi and a bar where you can enjoy a drink and relax. You are only a 10 minute walk away from the Plaza del Dos de Mayo and Plaza de Espana. On TripAdvisor, the hotel received a good 4 out of 5 rating from 96 different reviewers. Take a walk at the beautiful Retiro – Park and Parque Warner Madrid. Check out the Museo del Prado and take a look at the Real Sitio de San Lorenzo de El Escorial. Let’s go to the Madrid deal! Sign up for our Newsletter, and don’t miss anymore deals. You’ll be the first to find out about our Madrid bargains!